This week’s printable is a set of two Index Card printables featuring beautiful arrows! These are sized for 4 by 6 inch index cards, so that you can put them in places easily for reminders. One is of Isaiah 49: 2(b)-3, and the other is a paraphrasing of that Scripture. You are a beautiful arrow! 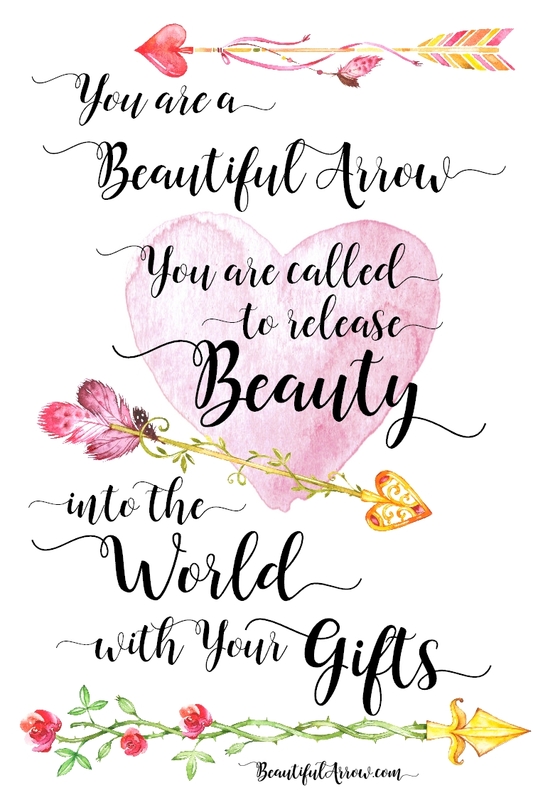 You are called to release Beauty into the world with your gifts! 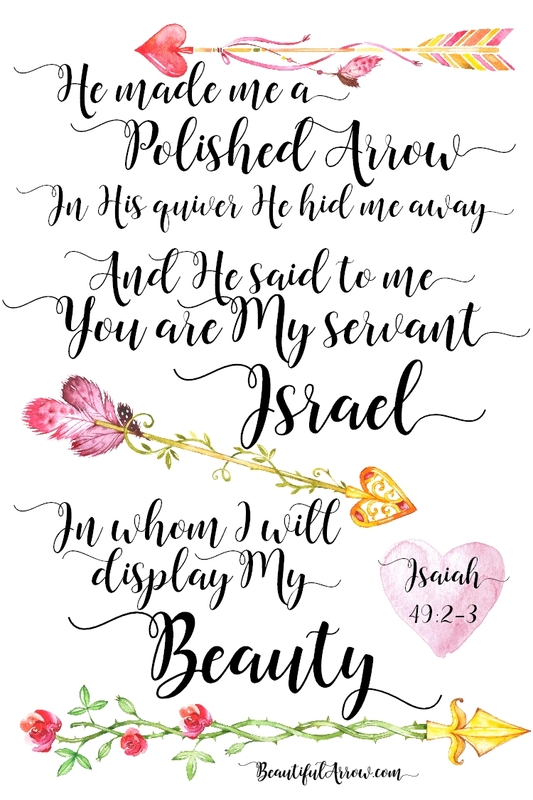 I found this Scripture when I was looking for references of ‘beauty’ and ‘beautiful’ in the Bible. It has been very interesting and eye opening to see what the Bible has to say about that. But I see from this Scripture and the two translations that God’s glory must be synonymous, to an extent, to God’s beauty. How wonderful and amazing is it that we are called (from the womb, no less – see 49:1) to display God’s beauty, and that we glorify Him by doing so! 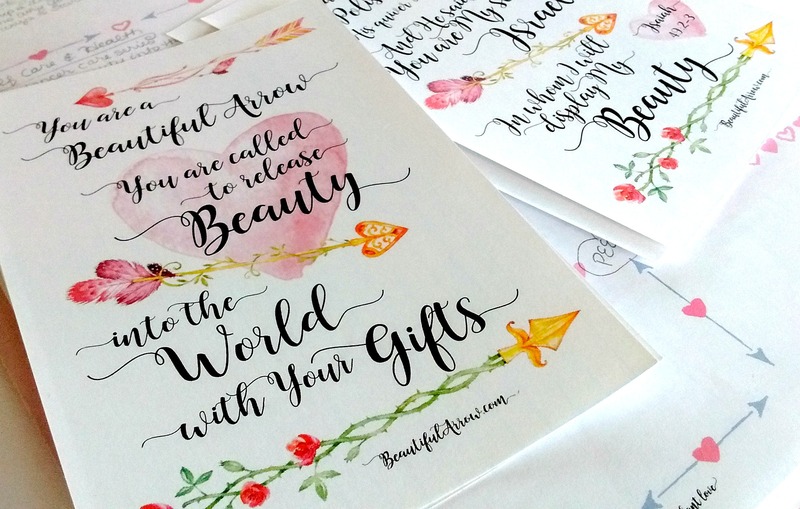 To get access to this printable and all my other printables in my Resource Library, just sign up in the box below or in the sidebar. Or for my subscribers, it is already in the Library! To see the settings I use with my printer to print properly on index cards, see my post HERE. I hope you enjoy these cards, and find them useful. May they remind you of your gifts, and the beauty that you have inside of you that is just waiting to be released. May you embrace the beautiful arrow that you are. May you embrace the beauty that is released through you. May you bless the world with your beautiful gifts!